The most important things to know about climbing Kilimanjaro. I am just back from my 22nd and 23rd summits of Kilimanjaro. Every trip teaches new things and reinforces the key components needed for a safe and successful climb to Uhuru peak and back down again safely. 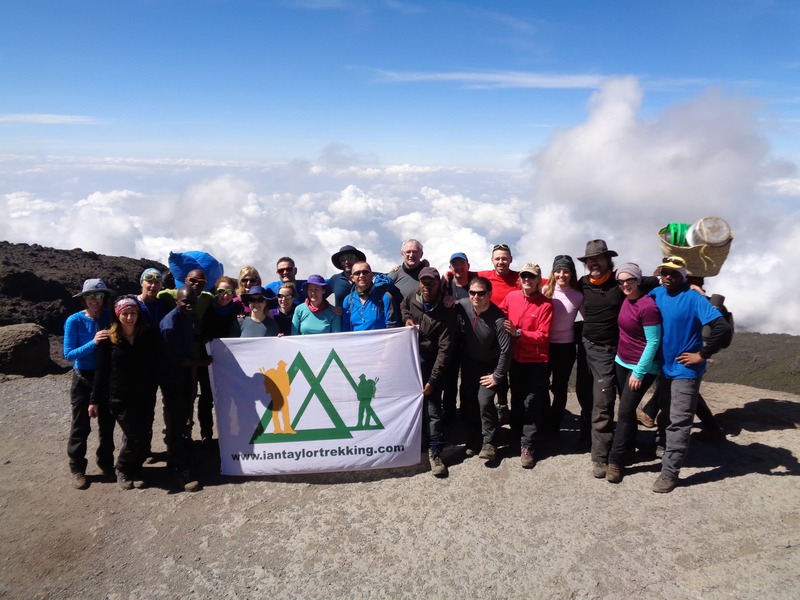 Ian Taylor Trekking have had 100% success on our last 8 climbs up Kilimanjaro on the Lemosho route. 1). The most important thing to know when climbing Kilimanjaro is picking the right acclimatization schedule for you. You MUST have the best possible acclimatization plan in place. From my experience you must spend 8 days climbing Kilimanjaro and do it on the Lemosho route. The Lemosho route is the most beautiful route with the best possible acclimatization. You see the best of what Kilimanjaro has to offer and you will enjoy the experience from start to finish. We had 8 out of 8 on the summit on my 22nd climb and 19 out of 19 on the summit for my 23rd climb of Kilimanjaro. 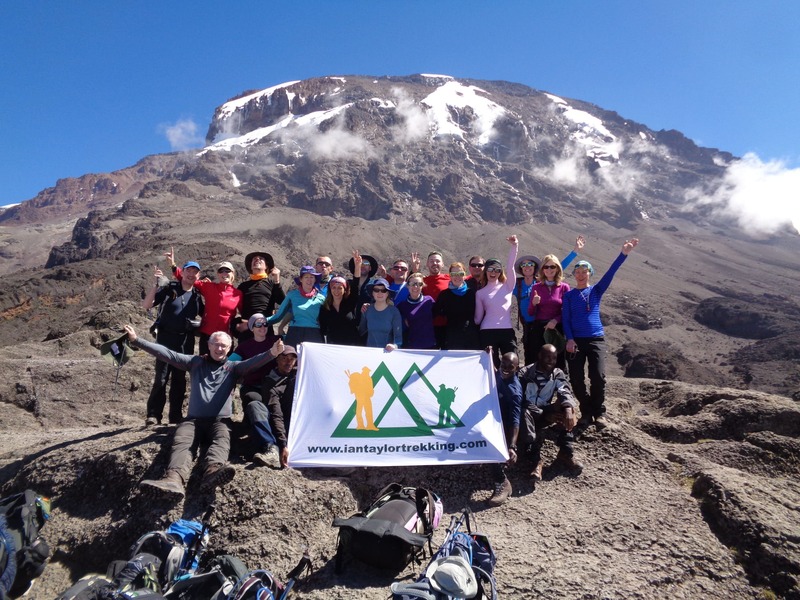 Do you want to be successful and enjoy the trek up Kilimanjaro? You need to pick the Lemosho route over 8 days. 2). The next most important thing to know is pacing each day you are trekking up the mountain. This is vital and most local guides have no idea how to manage the pace of the trip and have poor understanding on western clients. The pace and balance of maintaining lower heart rates is essential to a successful well balanced experience on Kilimanjaro. You need western guided experience to give yourself the best chance at success. 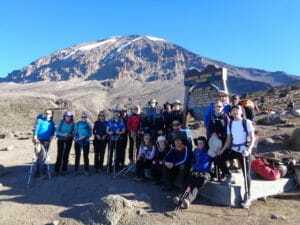 I have been working with our head guides for 8 years now on pacing, heart rates and understanding people and adapting to their needs and pace of the trip to ensure a safe and enjoyable experience climbing Kilimanjaro. Ian Taylor Trekking have put over 1,000 people on the summit with 98% success rate. The overall success rate on Kilimanjaro is 42%. Don’t fall into the trap of cheaper operators as they cut corners on all levels of service, equipment, safety and paying staff. We have our own team on the mountain. We have the same staff now for over 8 years. 3). The next most important thing to know about climbing Kilimanjaro in a successful summit is breathing. The process of forcing oxygen through the lungs and into the muscles is absolutely VITAL in your chances of reaching the summit. If you don’t breath correctly you run the risk of serious altitude illness and physical fatigue high on the mountain. You will run the risk of not really getting the best and fullest experience on the mountain. Deep breaths in through the noise and out through the mouth on a regular and consistent basis is critical to your safety, enjoyment and success climbing Kilimanjaro. If you would like to know more, call us, e-mail us and we can chat more about this critical component climbing to the top of Kilimanjaro. 4). The next most important thing about climbing Kilimanjaro is your own personal conditioning and strength for the climb. If you haven’t trained with a weight back pack up to 10kg/22lbs and training 5 days a week over an extended period you run the risk and not getting the most out of your Kilimanjaro experience. You run the risk of failing to reach the summit as you have to climb 1,300m up to the summit and 2,800m down in one day on your summit attempt. A 14 hour day on your feet walking steeply up and down hill. IF YOU FAIL TO PREPARE, BE PREPARED TO FAIL. 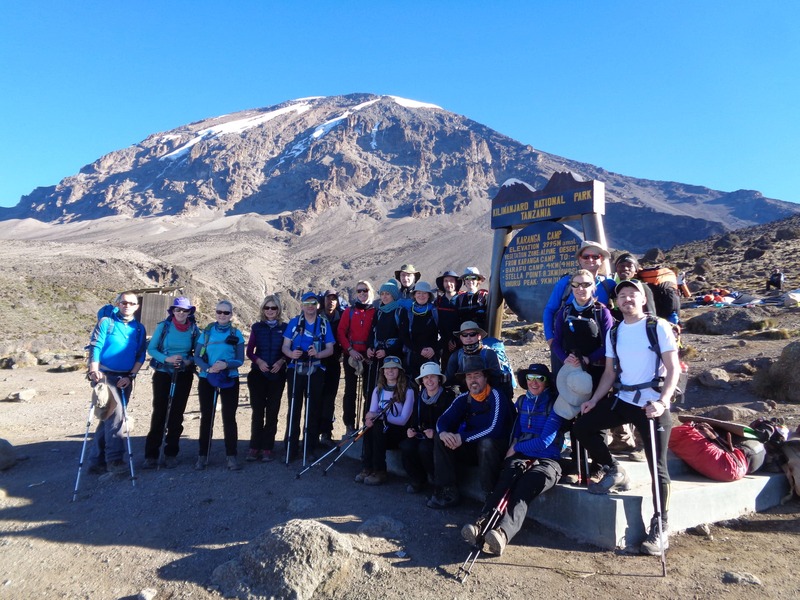 We can help your get the training needed for climbing Kilimanjaro. Drop me a mail: ian@iantaylortrekking.com and happy to chat more about training, preparation and how to be successful climbing Kilimanjaro. 5). Another important factor is quality staff, equipment and food on the mountain. Most companies outsource their staff, who have no real commitment to you and your success. You need a team around you that works consistently together, client focused, that are being treated correctly. We have our own full time staff on the mountain. We use mountain hard ware dome tent, Trango 3 & 4 quality mountain hard ware tents, We have security team, tent crew, world class food and chefs, proper food menu, professional mountain guides, proper seating, chemical toilets, oxygen, flying doctors medical cover and fully serviced trip, giving you the highest rate of success and service on the mountain. 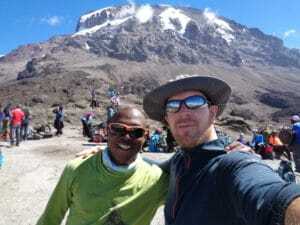 Ian Taylor Trekking run 15 to 20 climbs per year on Kilimanjaro. Join our team and have one of the best experiences you can ever have. Read some of our Testimonial and more on Facebook. Get in touch and find out more about climbing Kilimanjaro the right way.